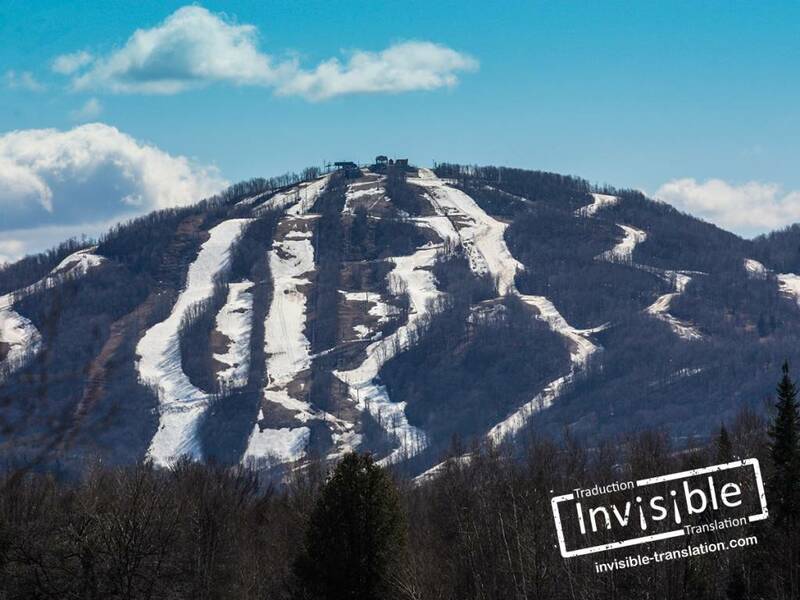 Translation service in Bromont | INVISIBLE Translation Inc. In Bromont, the translation of all types of documents is an absolute necessity. The strong growth of the town’s many businesses serving Canadian and international markets shows that progress and translation go hand in hand. This article presents an overview of Bromont and explains the role of translation in promoting the brand image of the town’s businesses. Looking for translation service in or near Bromont? Call us now! Need an academic transcript, degree or diploma translated? Visit this page. The town of Bromont, located in Montérégie, was founded by the Désourdy family in 1960. The town limits encompass the location of two English-speaking villages that have since disappeared: West Shefford and Adamsville. French and English have long lived side by side in this region. Bromont quickly attracted large companies such as IBM, GE, C2MI and Teledyne DALSA. The town’s high-tech industrial park includes more than 40 technology companies, the highest concentration of microelectronics specialists in Quebec. Some 50 percent of town residents work in the high-tech park, which boasts a large proportion of university graduates, estimated at 67 percent. Based on the Statistics Canada 2011 Census, 40 percent of Bromont residents are bilingual and several hundred usually speak English at home. Located less than an hour’s drive from Montreal and the U.S. border, Bromont is a flourishing technological and linguistic hub. Where does translation fit into all this? The Bromont-translation match-up: decreed by law? Translation and Bromont are a natural match, because this discipline is essential to securing the town’s economic vitality. Since English is the common language in the world of business and trade, multinationals and foreign companies that locate or seek to locate in Bromont must adapt their documents to the province’s linguistic reality. Unfortunately, bad translations do happen. Some of the wording we see is quite absurd, and we can only assume that many of these “equivalents” have in some way tarnished the reputation of the companies that have published them. A brand image takes years to build, yet can be ruined in the blink of an eye. Do you really want to entrust the translation of your latest advertising brochure to one of your bilingual employees, no matter how bright, who has no training in translation? If you answered yes, keep in mind that the translation produced by this employee might, despite his best effort, undermine your company’s credibility. Let’s see why. According to Canada’s Translation Bureau, translators have specific skills in linguistics and writing. They translate into their native language, drawing on extensive training to detect pitfalls and avoid potentially costly mistakes. In brief, they know how to produce a quality translation that conveys a carefully crafted and accurate message tailored to the target audience. In Bromont as elsewhere, contracts, partnership agreements and advertising, for example, are prepared and drafted with the greatest care. Therefore, the translation of such crucial documents should be performed by professionals to ensure that their content has the same impact in another language. This is the very foundation of an effective, viable communications strategy. Where can these professionals be found? INVISIBLE Translation gives you access to a team of certified translators and language professionals committed to supporting you. We offer a wide range of complementary linguistic services that will help you extend your reach in local, regional, national and international markets. Call +1 514-436-6331 right now to talk with one of our professionals. You can also tell us about your needs or submit a request by email. If you want a no-obligation quotation, please fill out this form to get a quick response. Do you know of companies, individuals or business people in Bromont who have made great strides thanks to translation service?